This is my second attempt to draw using Soft Pastel. I'm still experimenting with the colors and blending. So, I draw Amy face. The singer of Malaysian rock band called Search. His band is so popular in Malaysia, Singapore, Indonesia and even Brunei. 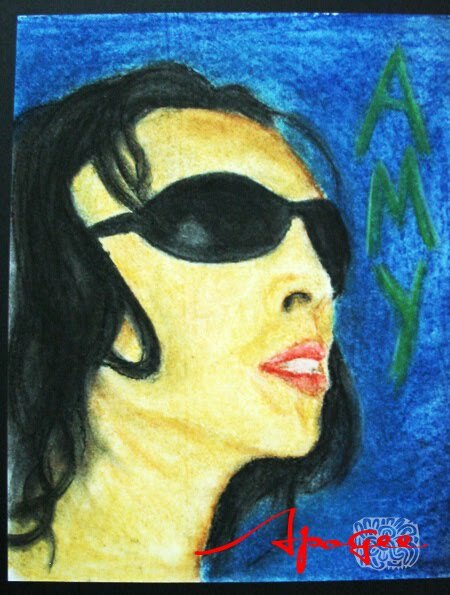 The drawing was created about 8 years ago and about a week after my first Soft Pastel drawing done. Still, I'm not really satisfied with it. Maybe I have to refer to some tutorials to find my mistakes. masih ada masa untuk memperbaiki kan?